Hello~! 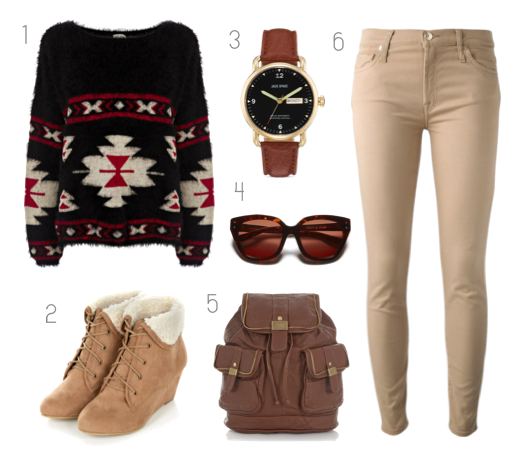 Lately, I've been addicted to this site called POLYVORE. *I know most of you are already familiar with it* I don't have time to make outfit posts or take pictures of myself then put it up on my blog. It's a bit impossible as I go to work everyday and spend most of my time with the boyfriend during Saturdays. Then family bonding on Sundays. So this site really helped me express my fashion sense through mixing different clothing and accessories that I can pick up through their site. You can even work with home furniture and many more! Give me five :D! I love wearing beige jeans/ pants in fall/ winter. Love this look!